Beckman Coulter Allegra 6R Refrigerated Benchtop Centrifuge w/ GH 3.8 Rotor . New Life Scientific, Inc. Fully functional. Includes rotor & 90-day warranty. 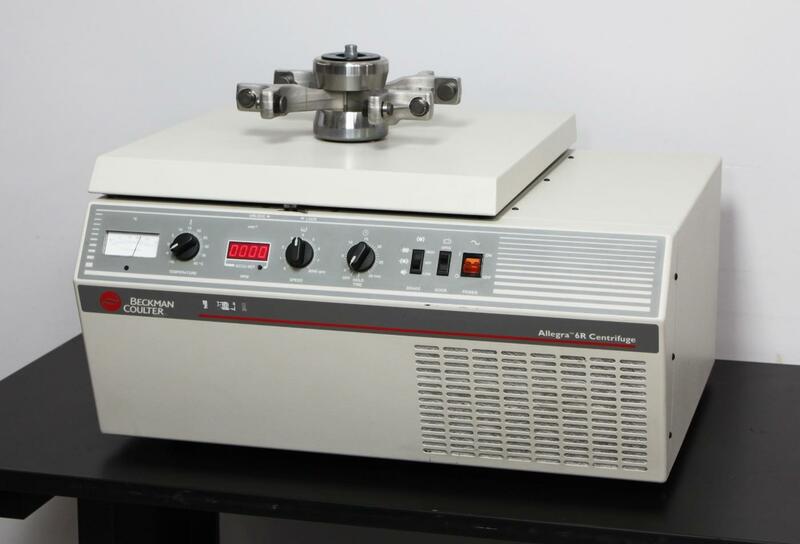 centrifuge comes from the time-tested Allegra 6R series. rotor and four buckets, so all you’ll need to spin samples are adapters. manufacturer's cooling specification without issue. This centrifuge needs only buckets and adapters to start spinning samples. Our technician ran this Allegra 6R at the rotor’s max RPM of 3,750 RPM without issue. out of tin and insulation wrap to replace the missing cardboard shroud. manufacturers, including Beckman, Sorvall/Thermo, and Eppendorf. resource for after-sales support, even after your warranty expires. our in-house support is only a phone-call away.